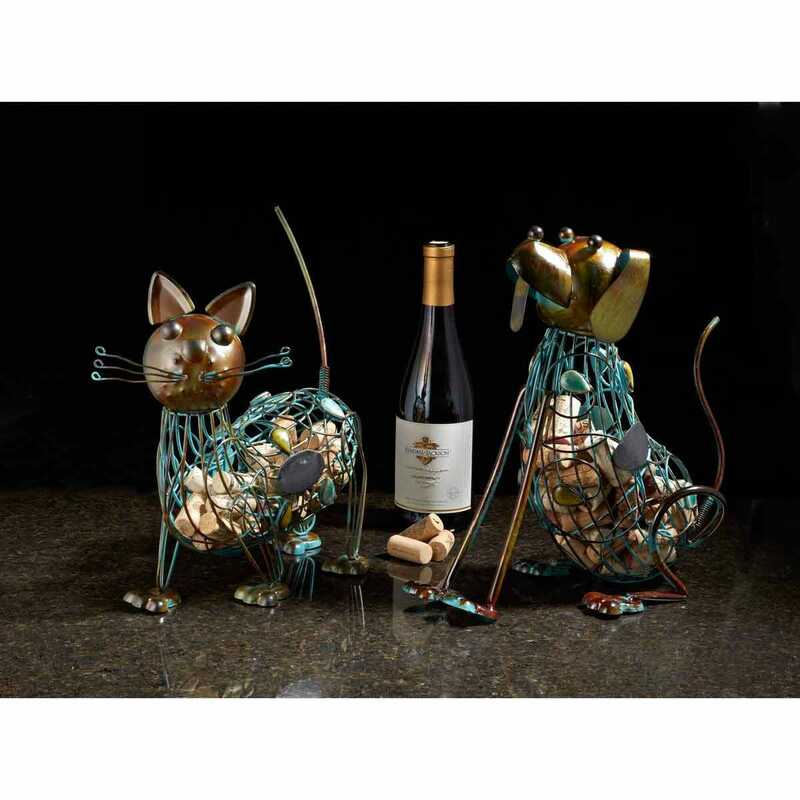 If you enjoy the carefree island life with a nice glass of wine, these whimsical Cork Collector helps you celebrate each bottle. 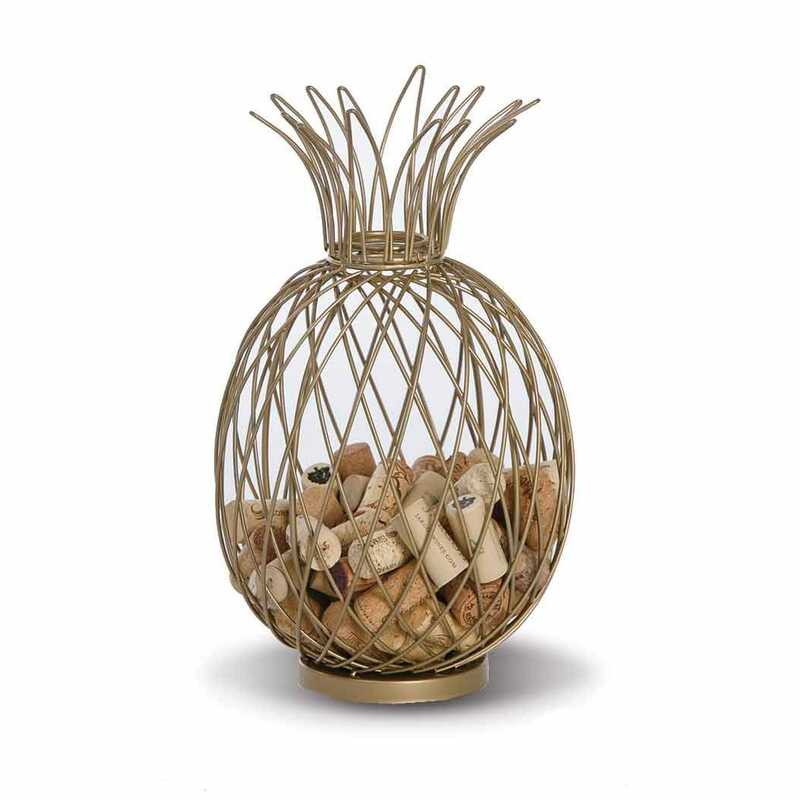 Each Collector Cage is hand-sculpted in an open work realistic shape, the Pineapple has a gold-finished metal accent that holds up to 60 corks. 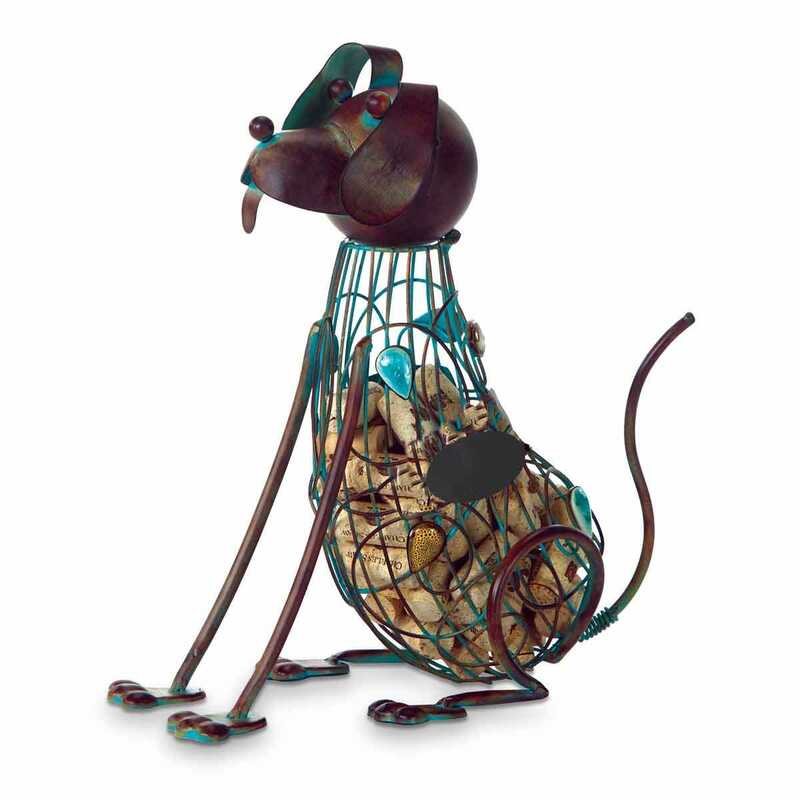 The Dog and Cat has a patina finished metal accent that holds up to 55 corks. To fill, simple tilt the head or the crown for access to the Collector. Each Collector Cage has a Chalkboard panel on side for personalization to turn your Cork Collector Cage into a guessing game. 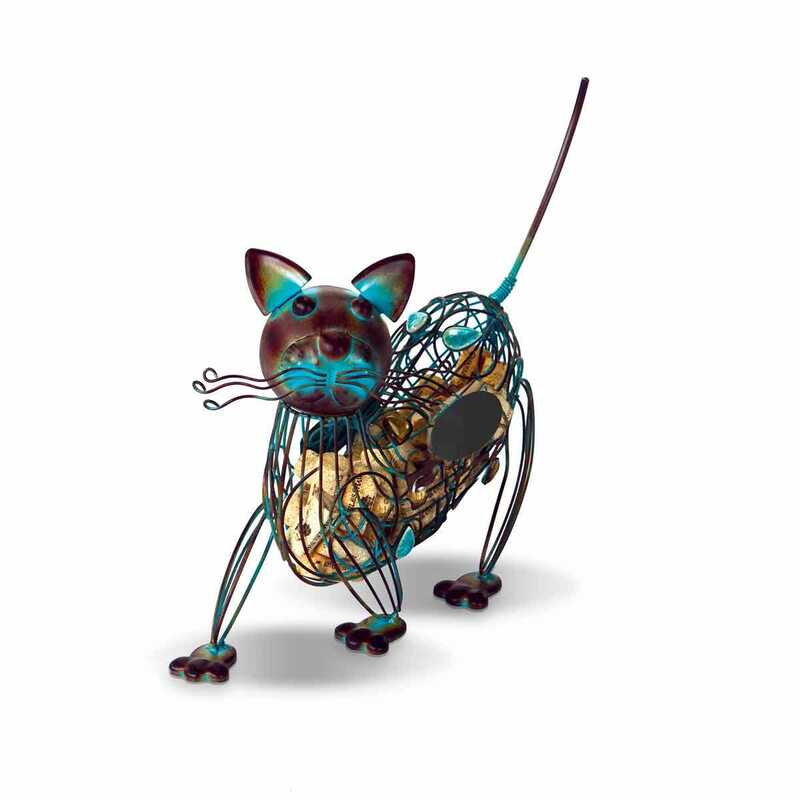 Makes a fun conversation piece and looks great on a bar or mantel. Dog measures 14”l x 6”w x 13”h, Cat measures 12”l x 6”w x 12”h and Pineapple measures 7 1/2” dia. x 13”h.